The Blue Mage learns new abilities through combat and is capable of learning up to 49 unique monster abilities at release and leveling up to 50. The level cap and learnable abilities will increase in future patches. A reveal trailer can be viewed below. 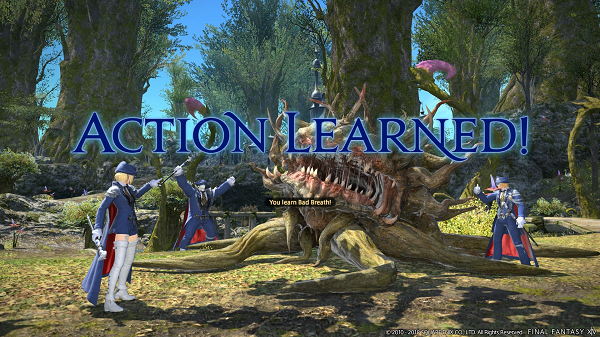 More information on FFXIV available on the official website.